Medical/health & wellness freelance writer for over 10 years. Written for Upwell (formerly Alliance Health), Mango Health, the Pain News Network, New Life Outlook, and Medical News Today. Has authored hundreds of articles on various health, wellness, and chronic illness topics. Authored a fibromyalgia information guide, a recipe guide for people with arthritis, and a rheumatoid arthritis treatment guide. 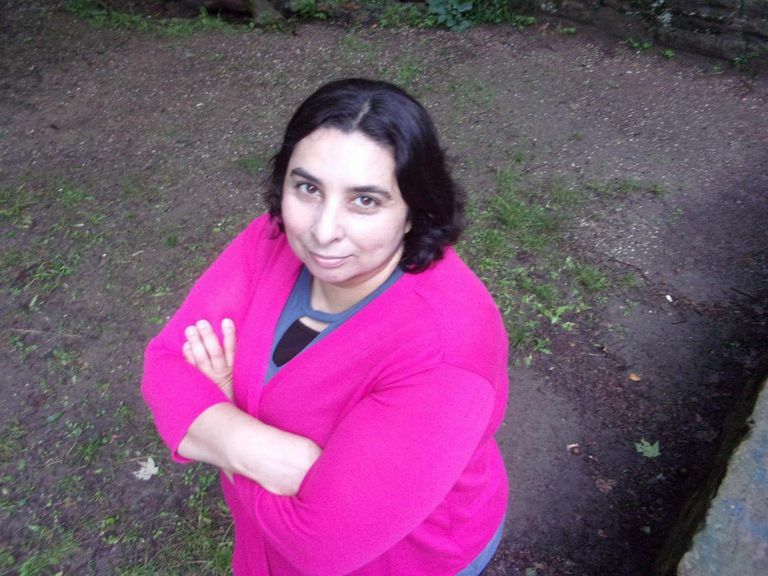 Lana Barhum has been a freelance medical writer for over 10 years. But she has been writing since she was old enough to create stories, and now, 30 plus years later, she is still using written words to express herself and help others navigate life with chronic health conditions. Having lived with rheumatoid arthritis and fibromyalgia since 2008, she has used her own experiences to share expert advice on living successfully with chronic disease and provide answers about a variety of health conditions. Lana has written for Upwell (formerly Alliance Health), Mango Health, the Pain News Network, New Life Outlook, and Medical News Today. As a medical/health and wellness writer, she has written about various issues affecting people with chronic health conditions, including parenting and single parenting, staying gainfully employed, living life to the fullest, managing stress, navigating the emotional challenges of illness, including learning to cope and day-to-day self-management of illness. Her areas of writing expertise include tip articles, how-to articles, lifestyle guides, list articles, debunking myth articles, factual research, and blogging. She has also written a fibromyalgia guide, a recipe guide for people with arthritis, and a rheumatoid arthritis treatment guide. Lana has worked with both Alliance Health and healtheo360, as a patient advocate and support group manager. Lana holds a Master’s Degree in Legal Studies and a Bachelor’s in Business Administration and has worked for over 18 years as a legal assistant in medical malpractice defense law firms. Outside of work, she enjoys spending time and trying to keep up with her two sons (ages 9 and 18), taking care of her cat, embarrassing her teenager, exploring nature and historical sites, and visiting her local Amish country. Life hasn’t been easy or perfect since my doctor diagnosed me with rheumatoid arthritis and fibromyalgia. But I am strong believer our dreams and our passions are a blessing amongst all this chaos. They will help you to focus and escape from something besides being sick. They give hope and reasons to keep going. Our journeys and experiences might be different, but we all have the power to see past illness, pursue dreams, and set goals. I promise you—if you continue to believe and dream, you got this! As someone who has lived the journey, I hope I can successfully answer your questions and provide you with current, reliable, and relevant information to help make your experience easier. Mostly, I hope I can offer some emotional support and relief as you navigate the sometimes-scary and confusing world of medicine. What Is Neonatal Hypoglycemia and How Does It Affect Newborns?